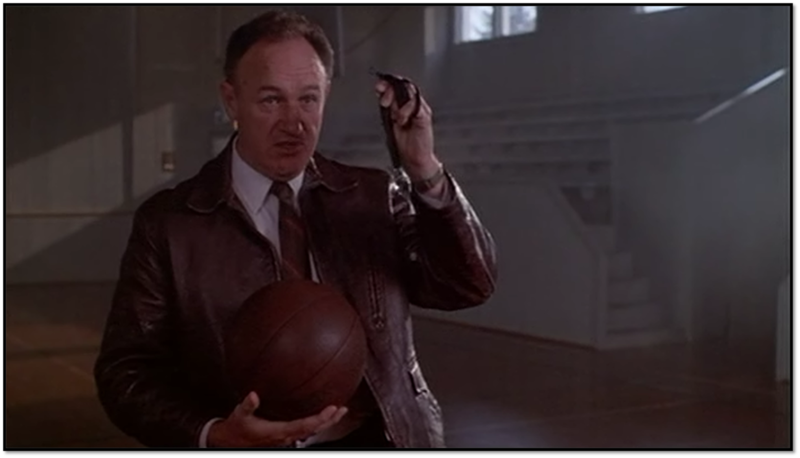 Coach Norman Dale holds up the coach’s tool, The Whistle and explains to the boys that he has 10 years of coaching experience, “but it’s been 12 years since I’ve blown one of these”. It is an interesting approach. Honesty. Offering his weakness right up front. Letting his players know that he’s been off the court longer than he was on the court. Trusting them to teach him as he teaches them. Asking for a little grace in the transition. Do we do the same? Do we let down our guard for those who will be a part of our team? Do we show them our weakness? Do we reveal our vulnerability? Or are we too insecure to let others know when we are frightened? Are we reluctant to show the kinks in our armor for fear that they might take the shot? Perhaps today, instead of trying to stand above the rest, we will be honest with ourselves and with others and stand with the rest. And in the process, we might find that we strengthen the entire team with one honest act.